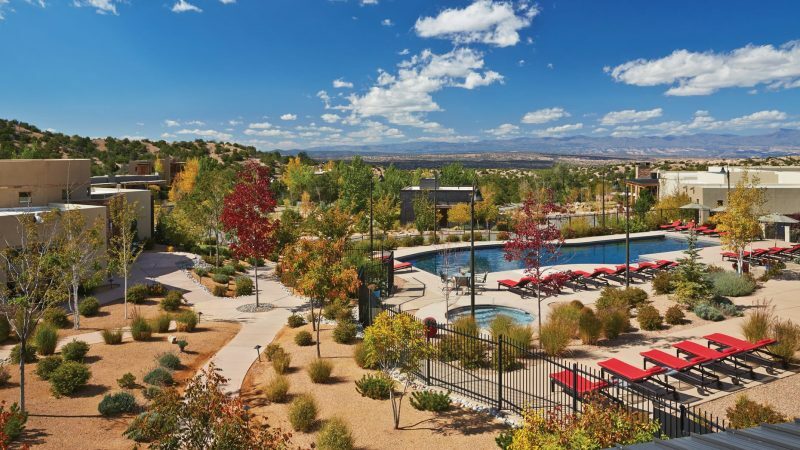 This 65-room luxury getaway in New Mexico offers boutique style intimacy while still providing incredible services and amenities. After all, it is a Four Seasons! 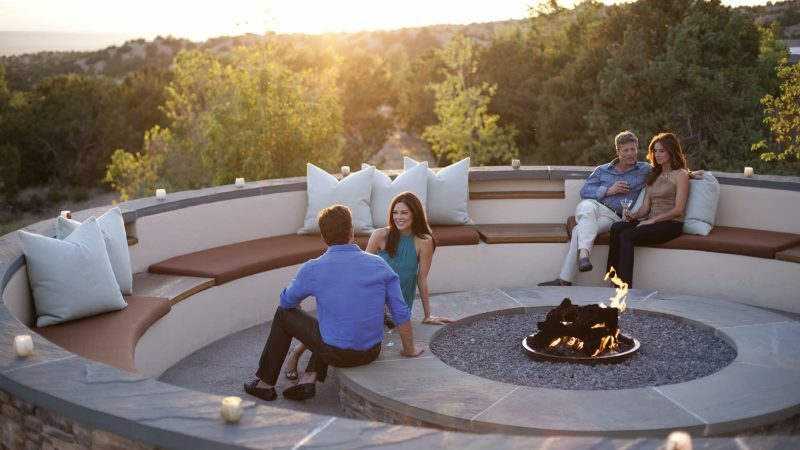 But while a visit to the Four Seasons Resort Rancho Encantado is always a good idea, there may be no more special time to plan your trip than for the Albuquerque October Balloon Festival. 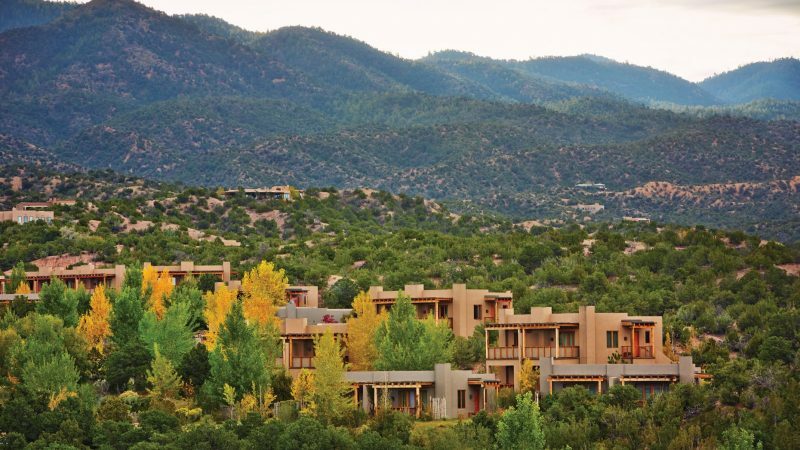 Just an hour’s drive north of the festival, guests will appreciate the seclusion of the stunning Sangre de Cristo foothills while still enjoying all of the festival fun. 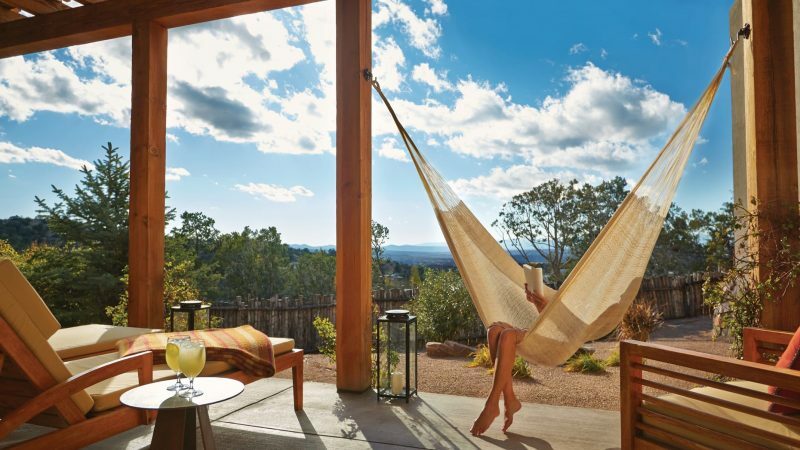 The Four Seasons Resort Rancho Encantado‘s Balloon Fiesta Package includes an in-room welcome amenity of a 24” tall air balloon, complete with local spiced nuts, Santa Fe beer, Albuquerque Gouda cheese and a chocolate covered chili or jalapeno to kick start the weekend of events. You’ll relax as the Mercedes-Benz house car chauffeurs you to and from the festival as well as during your included 30-minute spa oxygen treatment, which assists in adjusting to the high altitude. Obviously admission to the fiesta is included, and the package also features two Gondola Club tickets and exclusive amenities in a reserved area for prime viewing. It’s sure to be a highly memorable experience.